All-wheel drive vehicles are small enough to get into tight spaces like parking spots with which larger vehicles have problems. Larger 4-wheel drive vehicles have equally large towing capacities and additional cargo space. All-wheel vehicles come with the crossover, sedan, and SUV models. 4-wheel drive is a typical feature of larger SUVs and some pickup trucks. All-wheel vehicles are ideal for those who travel over rough terrain routinely. 4-wheel vehicles blaze trains and navigate slick surfaces with much ease. 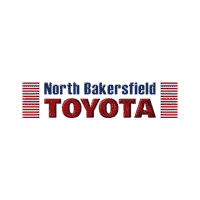 To get a better picture of what you can do with either of these vehicle types, visit our showroom in Bakersfield, CA for the assistance you need. You won't regret having that conversation.